Stock status is current as of 4/18/2019 10:52 PMET. 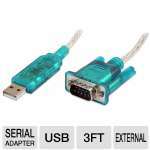 This StarTech ICUSB128410 USB to Parallel Printer Adapter allows USB capable PCs to print to any standard parallel printer, converting a USB port into a Centronics (male) connector for direct connection to a parallel printer. 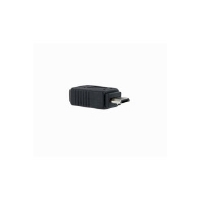 The StarTech ICUSB128410 USB to Parallel Printer Adapter provides a much faster data transfer rate than a standard parallel port, thereby reducing the time waiting for a print job to be sent to your printer. A portable, space-saving solution, the USB to Parallel Printer Adapter is self-powered and provides Plug and Play installation on any USB-compliant computer running Windows 98/ME/2000/XP/Vista. 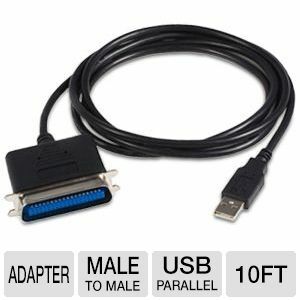 So be sure to pick up the StarTech ICUSB128410 USB to Parallel Printer Adapter today! What It Is & Why Do You Need It?